When the server guys need you to configure switch ports for them, then below is generally all you need in most scenarios. This was my message to the team of what I needed from the server guys this past weekend. I would love to see a full switch config dump / diagram from an example setup one of these days from you. Almost like a template on "how get a base system setup correctly". There is probably no way since each network is completely unique, but I'd really enjoy a best practices article some day. You know Rob, you are right. Every network is unique to some degree. I have always kindof felt like "best practices" were in an "ideal network, setup in a lab environment". I just really dont have any customers that fit that description. Even new installs where I replace all the equipment in the network, there always seems to be unique circumstances based on the customer requirements. I guess I always consider "how to get a base system setup correctly" is really based on what the customer tells me. Doubt with point 2., Being an network guy, we have full visibility over port channel. 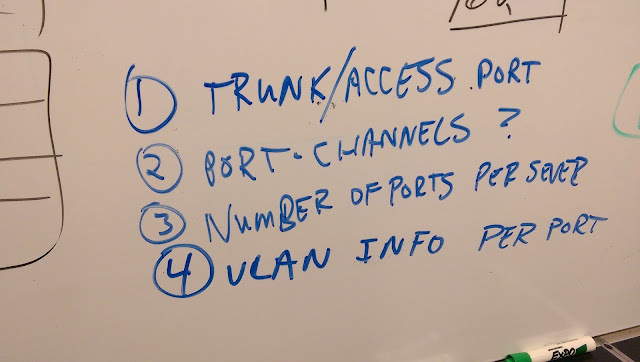 At what scenario, Server team can talk about port channel? Is Server LAN card teaming is same as Network port channel? Yes, teaming is the same.